The RØDE i-XY stereo microphone for iPhone, iPad and iPod touch has been recognised as a product of the very highest design quality by the prestigious international Red Dot awards. An expert panel of 37 judges from around the world, including fashion icon Jimmy Choo, assessed over 4,600 products from 54 different countries and identified the i-XY as a creative, innovative and overall outstanding product. 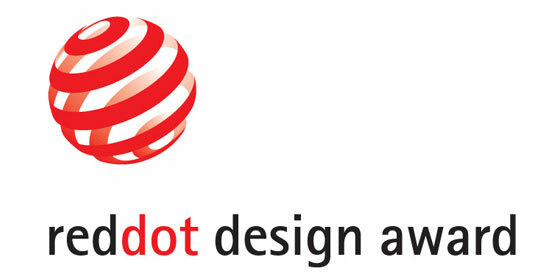 Since its inception in 1955, the Red Dot awards have represented the highest standards of product design. It acknowledges the excellent ergonomics, functionality, longevity, formal quality, durability, aesthetics and innovation of a product. The i-XY is RØDE’s first product offering for Apple’s iOS devices, and features broadcast-quality 24-bit, 96kHz recording. It is the only iOS microphone able to record at such a high quality resolution. It features a matched pair of ½ inch condenser capsules arranged in a stacked XY configuration, ensuring detailed and immersive soundscapes that are always true-to-life. These are housed in an all-metal chassis that makes the i-XY incredibly robust, while also adding electromagnetic shielding. Its unique combination of portability and high-quality audio capture makes the i-XY suitable for a wide range of applications, from recording live music to sound design and on-camera use, through to reporting and electronic news gathering (ENG). Peter Cooper, RØDE’s Vice President of Design and New Product Development echoed this sentiment. "We're delighted to win a Red Dot Award. The i-XY is designed to be the best product of its kind in the world. To receive such high level recognition is testament to the quality of work by the many people involved." The RØDE i-XY will be on display at the Red Dot museum in Essen, Germany along with all 2013 Red Dot Product Design award winners from July 2nd to 28, 2013.